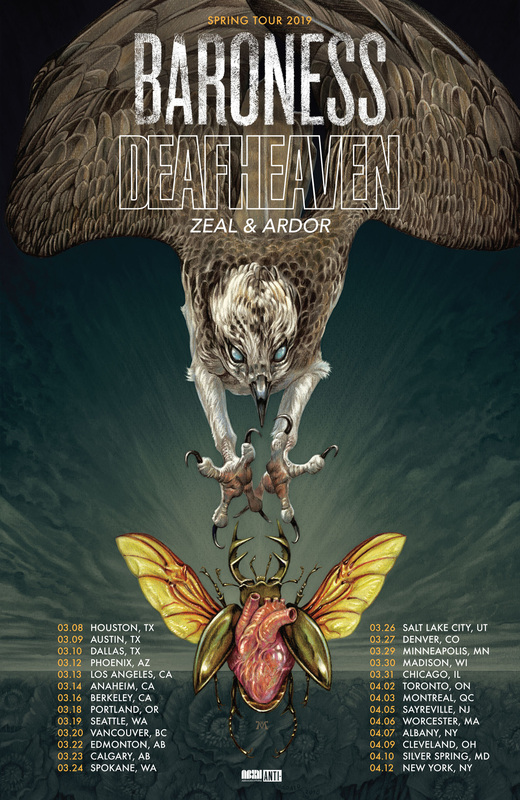 Dec. 11, 2018 – Baroness join Deafheaven for a North American co-headlining tour this Spring, marking the Grammy-nominated band’s first continent-wide trek in nearly three years. The news of the outing, which goes on sale this Friday at 10 am local time, arrives as Baroness work on their eagerly-awaited fifth album. 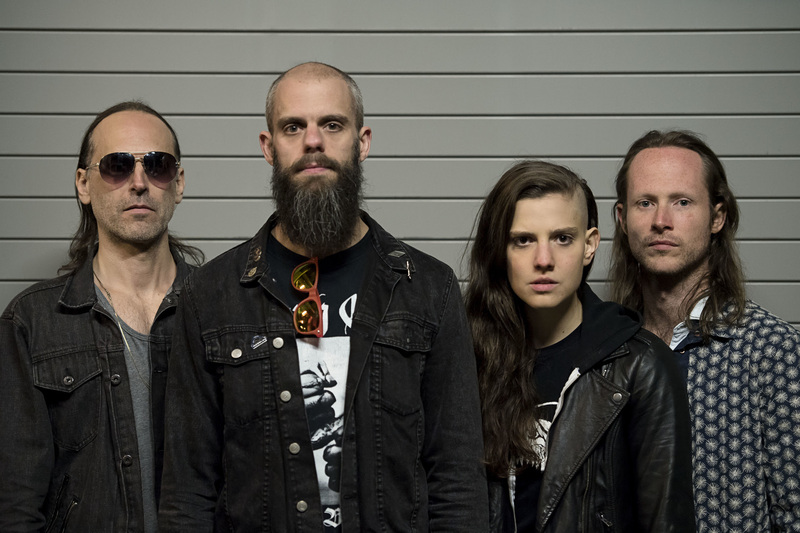 Baroness is John Baizley (vocals/guitar), Gina Gleason (guitar), Nick Jost (bass) and Sebastian Thomson (drums). Baroness released the Grammy-nominated album, Purple, in late 2015. The 10-song album was universally praised with Pitchfork saying it features “some of the biggest, strongest songs Baroness has ever written,” Entertainment Weekly calling the album “their finest release yet,” Rolling Stone Australia dubbing it “the most dynamic, robust guitar album this year,” and Mojo echoing those sentiments, saying “Baroness have delivered their masterpiece: an album grounding their cosmic heaviosity with earthbound, compelling drama.” Purple and the songs from the album also landed on a number of year-end best of lists with “Shock Me” coming in at #10 on Entertainment Weekly’s Top 40 Songs of 2015, Pitchfork awarding it #6 on their Best Metal Albums of 2015 round-up and Rolling Stone placing the release at #7 on their 20 Best Metal Albums of 2015.